A dual velcro strap for holding walking sticks or crutches on the wheelchair, walking frame or scooters. The Grips are secured by a velcro strap so can easily be put into any position. Then the walking stick or crutch attaches to the other side, again with a velcro strap. 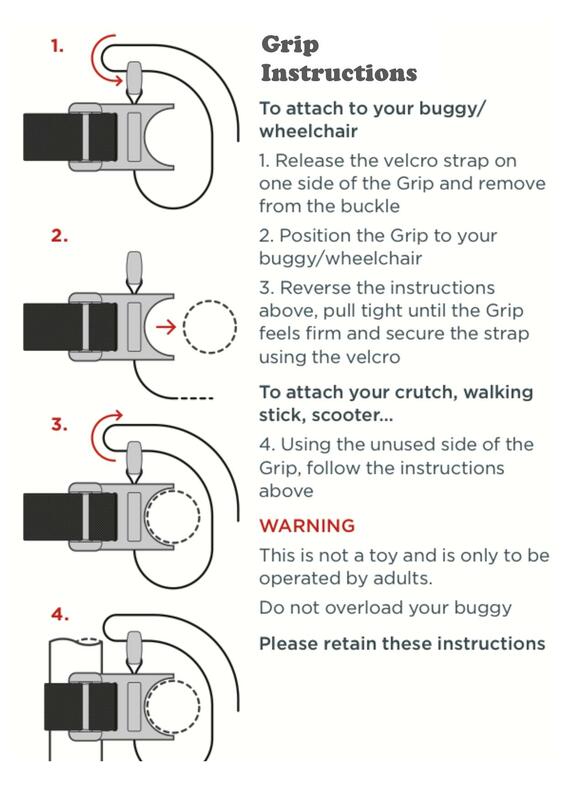 A dual velcro strap for holding walking sticks or crutches on the wheelchair, walking frame or scooters.